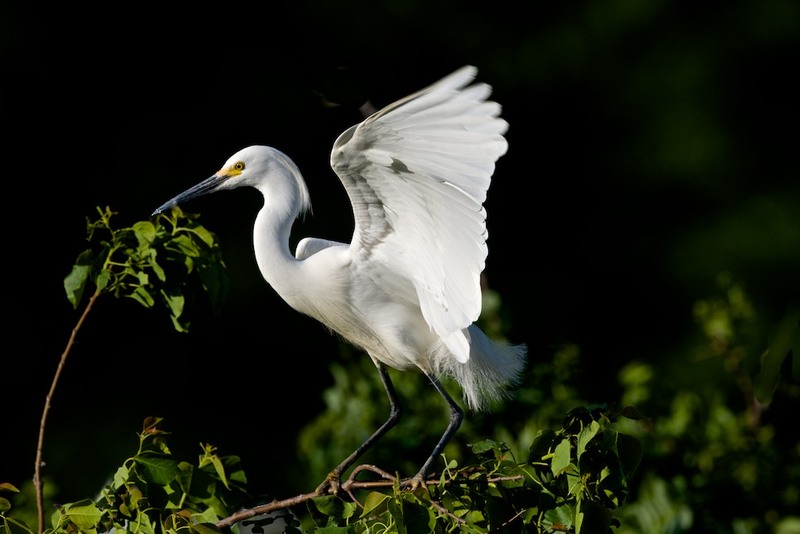 A great egret landing at the High Island rookery in Texas in late afternoon sunlight. Image taken on May 3, 2013 with a Nikon D800E, 800mm lens with the 1.25 teleconverter which gives it 1,000 mm effective focal length. We had a great time at High Island and visiting friends and relatives in the Houston area.